Nortel has just released a support bulletin documenting a problem (CR Q1863946) between the Nortel IP 2050 v2 (and v1.4) and Windows Vista that can affect the audio quality. Nortel is advising users to modify the audio quality within the IP 2050 Softphone application (File -> Settings -> Audio) to a setting of 4 or higher. Nortel IP 2050 v1.4 users must also use the Vista Service Manager to disable QoS on the desktop/laptop. There is no mention of the IP 2050 v3 Softphone in the bulletin so I would guess that version is not affected. We’ve been using the IP 2050 v2 for connecting to our Nortel Succession 1000M Call Servers with very good success. It’s very reliable and the audio quality has been excellent. I should point out that we lease our corporate laptops with a 24 month refresh so we always have decent hardware to work with. And it doesn’t hurt when you have a Gigabit network backbone from Nortel of course. We’ve held off deploying the IP 2050 v3 because of the new licensing server that is required although we can’t fault Nortel for moving towards such a solution. While we’ve been very honest in our purchasing and deploying of the IP 2050 softphone I can only guess how many others out there haven’t been so honest. 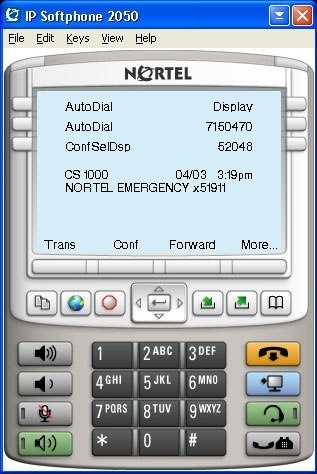 If you’re interested in the Nortel IP 2050 just don’t forget that you’ll need to purchase a copy of the Nortel IP 2050 software along with an Internet IP User ISM (license) for each user. You may also want to evaluate Microsoft Office Communications Server before you deploy the IP 2050 in any large numbers. 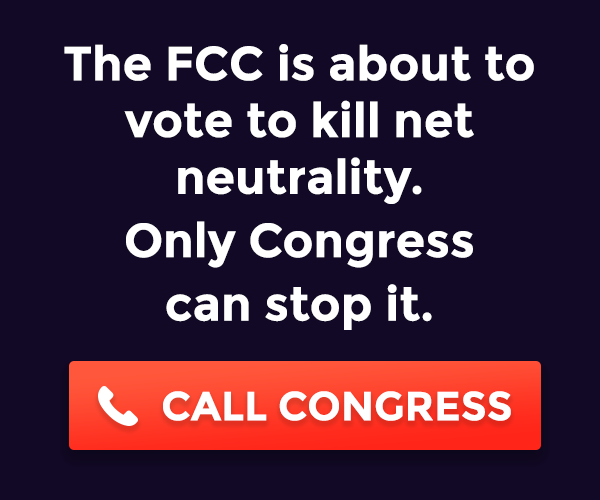 We’ve started testing OCS in our lab and we’re hoping to start evaluating it’s voice and video conferencing capabilities in the next few months. 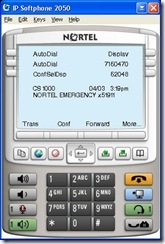 You’ll probably still want to use the Nortel IP 2050 Softphone for any Nortel Contact Center (Symposium) agents but for basic voice, instant messaging and video conferencing OCS looks very promising.